I had a a bit of spare time so I sat down with my Washi tape and was able to make three more cards in a very limited amount of time. These are for the Moxie Fab World Washi Tape Challenge. This was the quickest and easiest of the three cards. 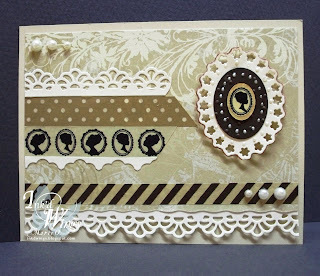 A few pieces of tape, some Penny Black stickers and a sentiment from Inky Antics. 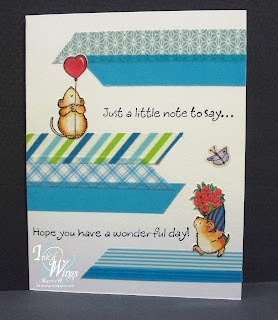 When you remember at the last minute that you forgot to send a card and the mail carrier is due soon, this is a card you can create in less that 5 minutes. 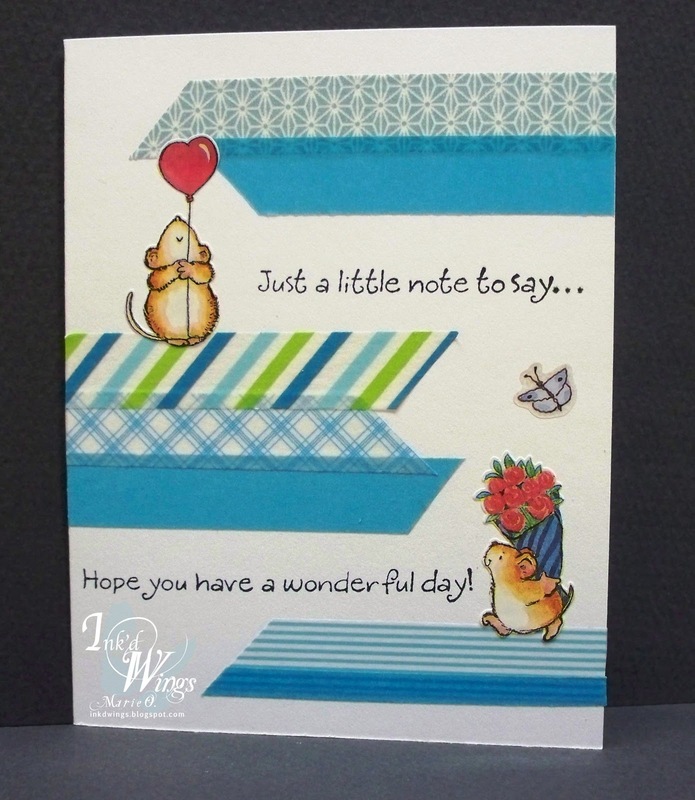 This card took a little longer because background was stamped and colored (Copic) and glittered (Stickles) with an old See D's stamp set called "Girlfriend". The DP (DCWV) was a scrap left over from a previous card. It was a perfect color match to the tapes that I wanted to use. This is one of those times I thought "I wish I had bought that Cameo Stamp" !! Since I didn't...I cut one of the cameos from the tape, mounted it, mounted it again, mounted it a third time to fill the allotted space. Wow you have been busy Marie! What a wonderful trio of cards today. The fist one is my fav, playful and fun. I love the little fella with the balloon!! These are all pretty Marie. You've been rocking the washi tape. Wow- three very different cards. I can say that I'm not big on stickers but your first card (my favorite!) is likely to convert me. Maybe it is really just those fabulous Penny Black version. I am going to use your inspiration the next time I have little time to get it in the mail! I only bought 3 sheets of PB stickers when I had the chance in Vancouver, and I've pretty much been kicking myself since! 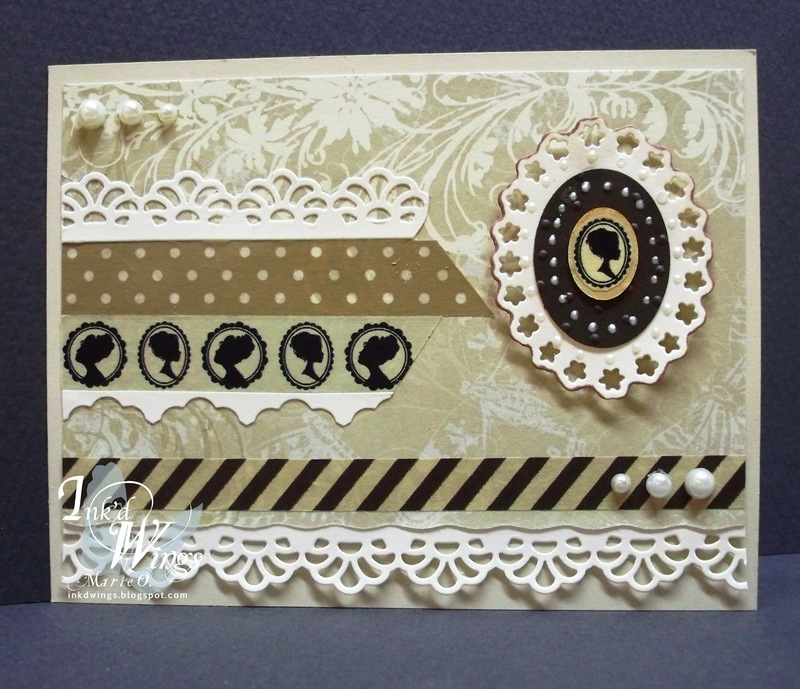 They are so worth the $$ for the time they save & the super quality :) I love the layout on that card! 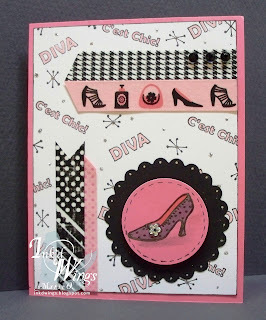 The other two are fabulous as well - love the blingy shoe, and that gorgeous cameo tape! !